The Nigerian Postal Service generated a total of N19.7bn from its operations in 2018, our correspondent has learnt. While the postal organisation made about N7bn from its core operations, a total of N12.7bn was generated from electronic stamp duty. The N7bn generated through core postal services was slightly below the N7.04bn which NIPOST generated through similar activities in 2017. Our correspondent learnt that the parcel and courier services remained the cash cow of the organisation as the business unit raked in about N3.5bn within the year, which accounted for about 50 per cent that came in through core postal activities. It could not be ascertained how other business units fared within the year but statistics might not vary much from what they were in 2017, given the slight difference in the total figures for the two years. The breakdown of 2017 performance of the organisation showed that it generated N1.58bn from expedited mail services otherwise known as Speedpost. From stamp proceeds, the postal organisation generated a total of N1.33bn while it made a total of N1.28bn from parcel clearance and delivery fees. 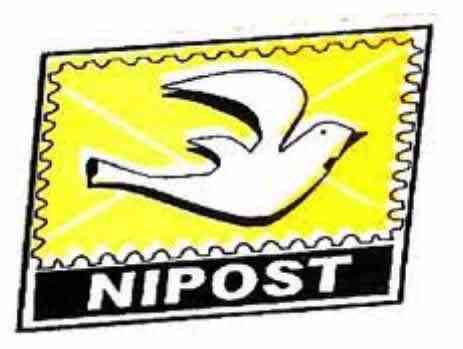 Other items that propelled NIPOST to the N7.04bn revenue in 2017 included international mail income from which it made N715.82m and bulkpost service from which it garnered a total of N537.06m. From fees charged on renewal of post office boxes, the postal organisation garnered N448.04m while it made a total of N361.44m from sales of stamp/taxed items. On premises and leased spaces, it generated a total of N172.7m and from unidentified miscellaneous sources, the postal organisation made a total of N601.53m. Electronic stamp sales also yielded less to the coffers of government in 2018 as the source had provided a total of N13.58bn in 2017. However, with the N12.7bn garnered from the electronic stamp sales in 2017, the government now has a total of N30.2bn in the Stamp Duty Treasury Single Account which is warehoused at the Central Bank of Nigeria. Electronic stamp sales is another name for the controversial stamp duty paid on electronic fund transfer which the Central Bank of Nigeria had directed the banks to begin charging on electronic fund transfers with a value of at least N1,000 from January 1, 2016. The fund is currently warehoused in a stamp duty/TSA account with the apex bank as the postal organisation makes efforts to legalise the duty which had been challenged by an Appeal Court judgement. Postal authorities had been making efforts to diversify the sources of income of the postal service provider whose existence has been threatened by advances in new communications technologies. Postmaster General of the Federation, Mr Bisi Adegbuyi, had said that new communications technologies had spurned new business opportunities for the public postal system, claiming that a new NIPOST would soon emerge. Adegbuyi said the passage of the new bill would herald a new dawn for the Nigerian Postal Service as well as the entire courier industry. Adegbuyi said, “Unfolding events show how the sector is reaping from the booming and exponentially growing e-commerce segment, not to mention the utilisation of the vast network of post offices in creating financial and digital inclusion. Reforms in the sector, however, have been slow in coming.